It’s a joy sharing my paintings and years of experience! Who is Carol May? Painting has been my passion for many years. You can feel the joy of painting in my beautiful artwork. Budding artists learn from my expertise and build a strong foundation for their artistic journey. My heartfelt desire is to share my knowledge and the joy of painting with others. I give God all the glory for my gifts. 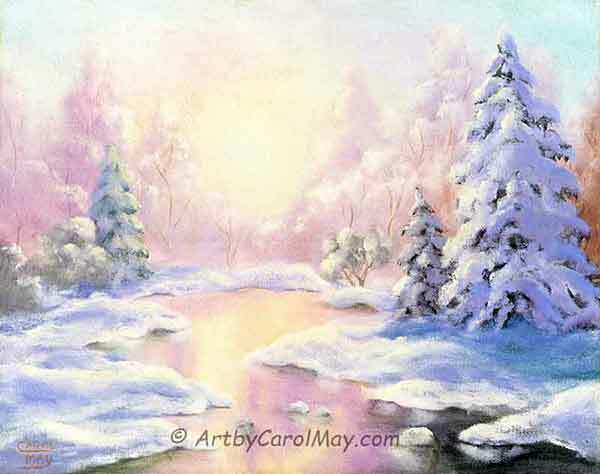 The painting "Winter Wonderland" is of where I was born in the Sierra Nevada Mountains of California. where did my art journey begin? It all started with an art class in Junior High School, then I minored in art at college. The art classes were so much fun, but my major of horticulture took most of my time. After graduation I had to spend time earning a living. You know what I mean. Art was set aside until my mother retired. She took up painting and studied under various art teachers. One of the teachers she studied under was Bill Alexander. Bill Alexander was the mentor and teacher of Bob Ross. Just like Bob Ross my mother became a certified teacher under Bill. She started teaching art and gave me some painting lessons. My beginning paintings were in the Bill Alexander - Bob Ross method of painting. Mountains were the main subject, so that's what I painted. My husband and I moved to Florida and we had our own business. It kept us quite busy, but when there was time, I painted. The flora and fauna of Florida put me in awe. The pelicans and all the other birds and flowers amazed me. So they were the subject of my paintings. I did so many pelican paintings that after a while I vowed, "No more pelican paintings!" Well that lasted for a while. But in the meantime I started painting the flowers and seascapes of Florida. It was a privilege to get a best of show ribbon. Since my mom and I lived in different states, I rarely got to paint with her any more. But one time we went to the New England area and painted on location for two weeks. It was the first time I had ever seen the beautiful fall colors of New England. We didn't see many fall colors in Florida. After I got home I continued working on the paintings. 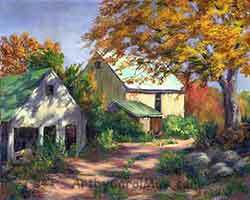 After "Country Barns" was complete, I entered it in a local show. It also, was privileged to win a best of show award. 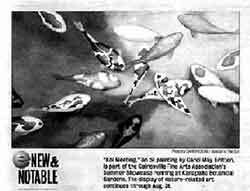 More Awards - "Koi Meeting"
As time permitted, I continued to paint and enter local shows. The painting "Koi Meeting" won a best of the class award, in the oil painting division. It was the largest painting I had ever done to date. It was four foot wide. A real estate company bought it to hang in their new office. I taught the Bob Ross (Bill Alexander) method of oil painting to students in Florida. But, I came to realize oil paintings were not as popular in Florida as watercolor. About the turn of the century I started doing watercolor paintings. 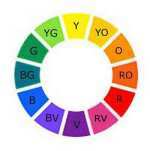 I taught myself watercolor using the basic principles I had learned with oil painting. 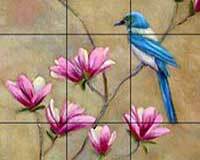 The basic principles of art apply to all types of paintings no matter what medium you use. Then people started asking me to teach my watercolor methods, so I gave watercolor lessons to aspiring students. 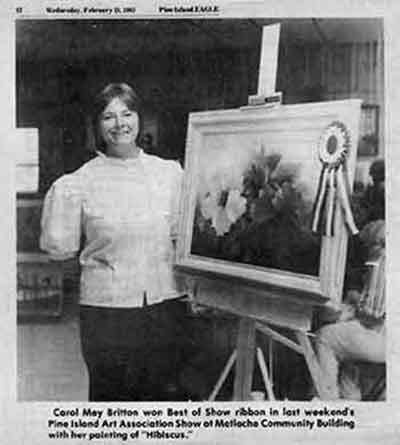 When the paintings started running out of the spare bedroom, Art by Carol May was born. In the beginning I put my paintings in galleries. 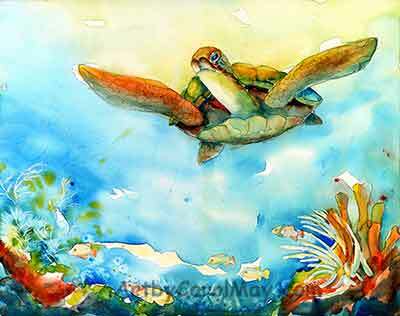 Then I joined a wonderful art co-op Island Arts in Cedar Key, Florida. It was fun working with the other artists. Plus, we got out of paying the high fees at commercial galleries. My husband suggested we do some of the street art festivals in Florida. We did that for a few years. It was such a joy meeting people and sharing my paintings with them. I have always had a love for nature. My goal as an artist is to share that beauty and wonder of God's beautiful creations. 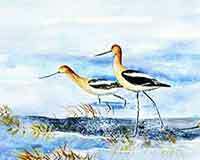 My favorite subjects are birds, butterflies, hummingbirds and critters like giraffes and dolphins. 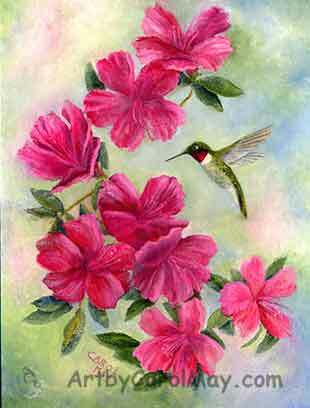 My paintings are signed with my first and middle name - Carol May. I hope you enjoy my work, as much as I enjoy doing it. It takes discipline to make painting a regular habit. In the past I would only paint when there was a full day or or maybe a week to devote to painting. Now my goal is to make painting a regular habit. I am working on this situation by painting smaller. I am doing a series of small 8"x8" paintings. You will find some of these paintings on the Painting Daily page. There have been some large gaps in my painting journey, sometimes for years. Actually one time I laid down painting for 15 years. Now after retirement, I moved to a small town in Missouri. 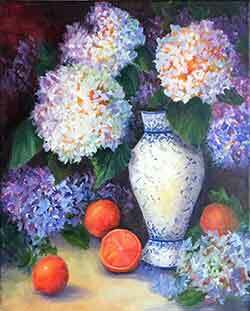 I am back to painting again and I doing an on-line course with Nancy Medina, see the Hydrangea painting. I keep learning and growing but, it's time to pass it on. 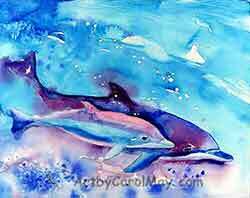 You can enjoy the Art by Carol May in your home with some of my Original Paintings or Prints. Budding artists can learn from my years of experience to advance their artistic journey. When I moved here I had the aspirations of selling paintings like I did in Florida and giving painting lessons. But the painting market is not as lively here, as it was in Florida. And my house is not big enough for many students. The World Wide Web reaches the world. I figured it was worth the plunge. So I jumped in and built a website for my art. But it hardly went anywhere. A friend showed me her website. She had lots of web visitors. And they were from different countries all around the world. I moved my website to the provider she used. What a difference it made! I took the plunge and I am glad I did! 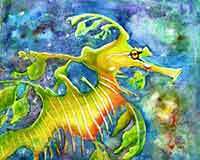 Now Art by Carol May paintings and prints go around the world. And I get to share my experiences and knowledge with budding artists wherever they live. It wasn't necessary to jump in feet first with a big commitment. They have a full guarantee with 90 day test drive period. 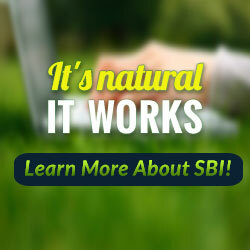 can a website boost your business? 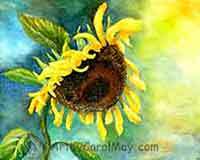 there's lots to look at on Art by Carol May - take your time and enjoy!